Hey Prep Families! We had hoped as much as you, that we would be able to post pictures today of yesterday's events but our editors/photographers were out taking pictures all day. Today was full of events for your C/C's from the moment they woke up, to late this evening. 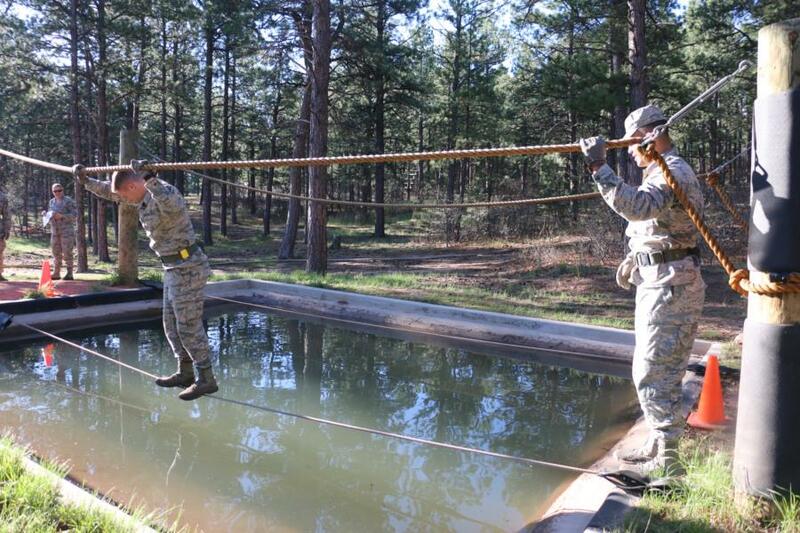 Today the C/C's were split into large groups and sent to three different courses throughout the day - Land Navigation, the Confidence Course, and the Obstacle Course. Don't worry, they had a short lunch break in between their morning and afternoon rounds and so did we! At Land Navigation, the morning had 4 groups which were each split in half to make 8 smaller teams and the afternoon had 5 groups which were split into 10 smaller teams. Each group were given coordinates to locations within the Par-Course area of the Prep School. These coordinates took them to 2 check points and 6 courses where they had to complete a task and at each course they only had 15 minutes to complete these tasks. Some made it to every location while other groups only made it to 3 or 4 locations. 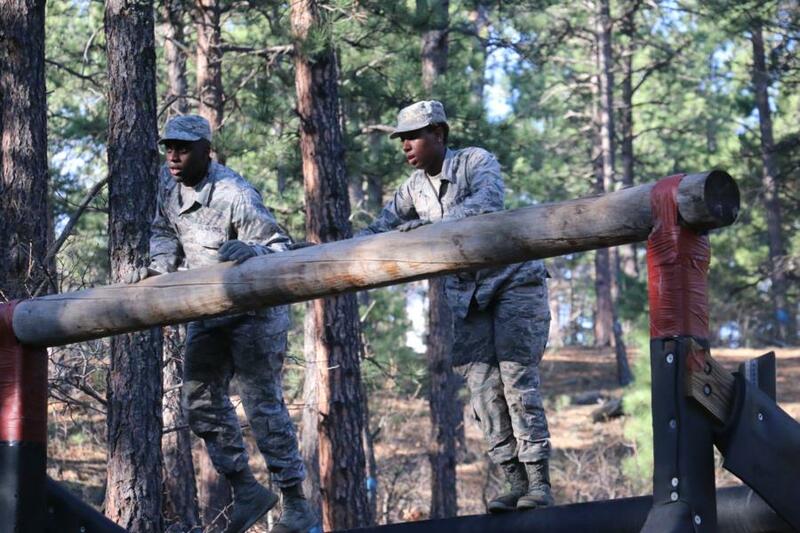 We stopped by 4 locations throughout the day, the Ski-Plank Challenge where the C/C's had to make it down and back around a cone without any of them falling off the planks. If they fell off that group had to start over again at the start/finish line. 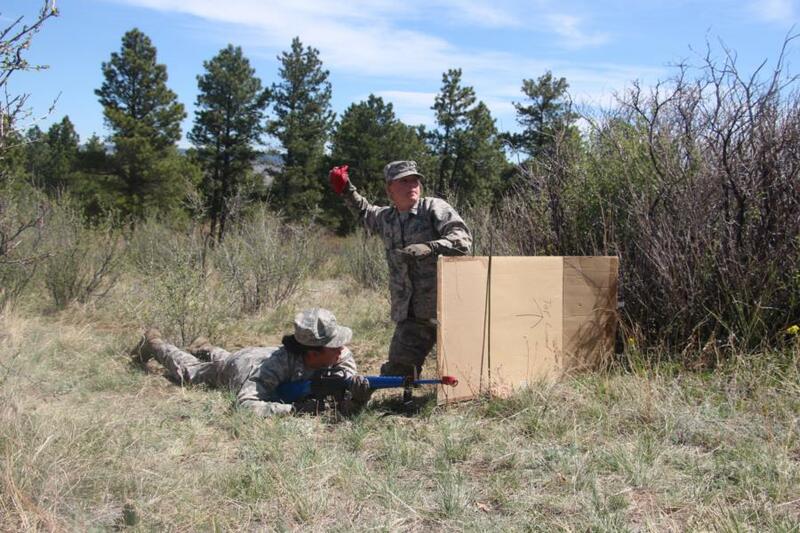 We also stopped by Mr. Fuller's famous Grenade Challenge, where the C/C's had to lowcrawl through the dirt to the "wall" with a rifle and a box of "grenades". Once they made it to the wall, they had 3 seconds of a glance to peer over the wall to the zone they were told to launch the granade into. Each time had to get 6 grenades into this zone to complete their mission. Every time they missed the zone, that C/C had to run and grab the grenade, drop it back off at the wall and run to the beginning of the dirt path and lowcrawl back up to their group. The 3rd location we stopped at was a SABC location, where an "injured" person needed to be rescued. 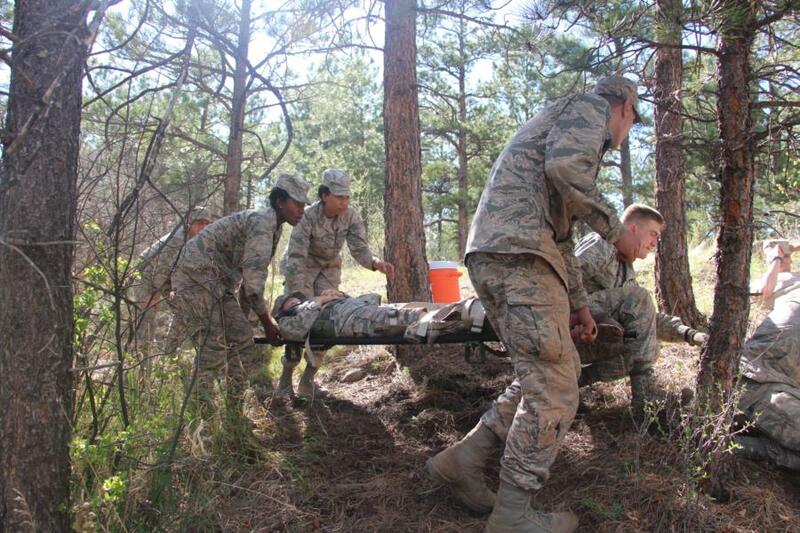 They had to find the cot, set it up and get the "injured" person onto the cot and out of the area. If they did a step wrong, the Prep Staff who was manning the location would get with their water gun and that C/C had to play "dead" for the rest of the 15 minutes. At the final location, the C/C's had to low crawl across the road - if any part of their body reached the staff members knees they had to play dead until their team completed the mission. Once they got across the road, they then had to make it down a ravine and help another "injured" person. 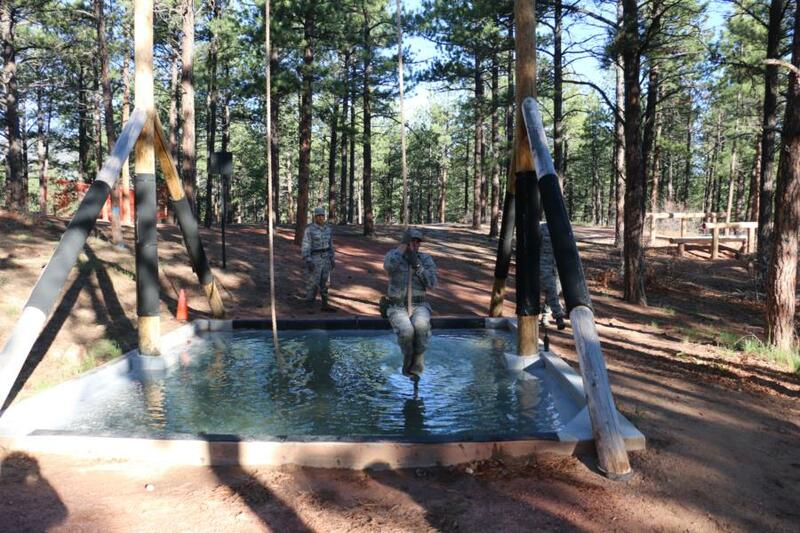 The C/C's also spent time in Jacks Valley at the Confidence Course and the Obstacle Course. Below is some information about each course, that we share during BCT when talking about Jacks Valley Courses. 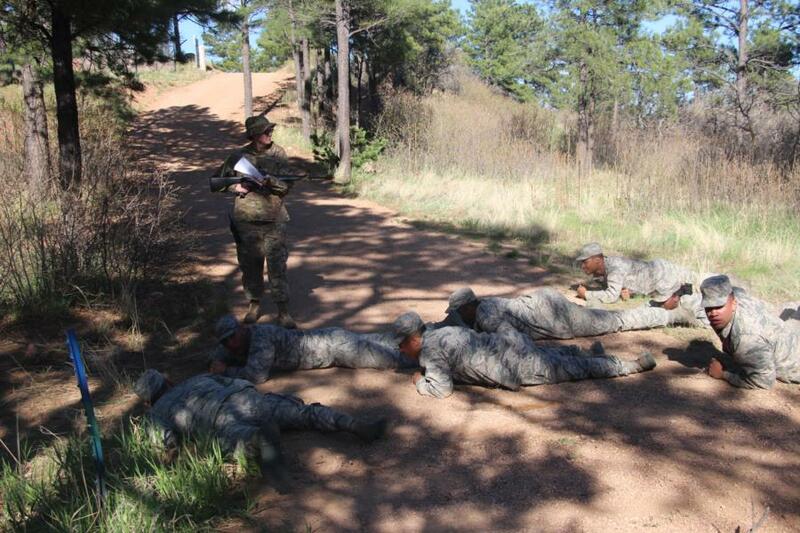 Because the C/C's had the opportunity to go into Jacks Valley, they now have an understanding on 2 of the many courses they will be experiencing during BCT. 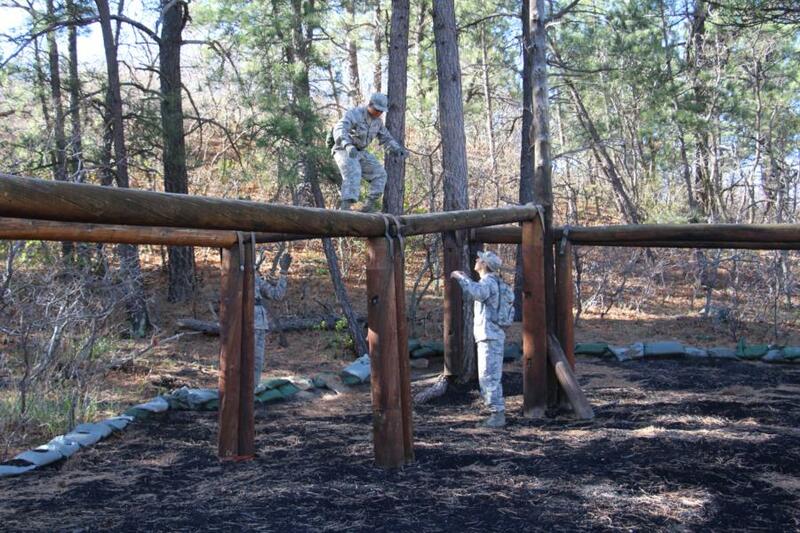 The mission at the Confidence Course is to develop and assess basic cadets' self confidence and physical capabilities by guiding them, as individuals and teams, through a selected group of 15 obstacles which vary in height and difficulty. 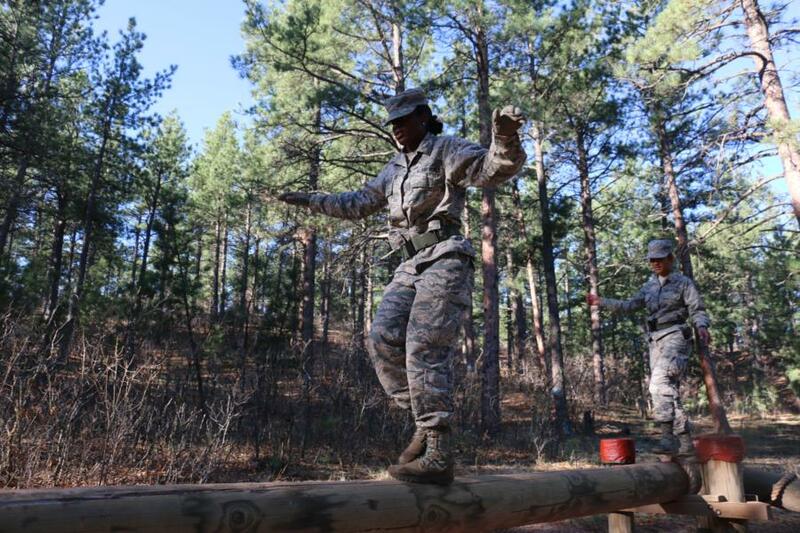 The course requires all basic cadets to demonstrate physical dexterity, teamwork, and cohesion to achieve successful outcomes. 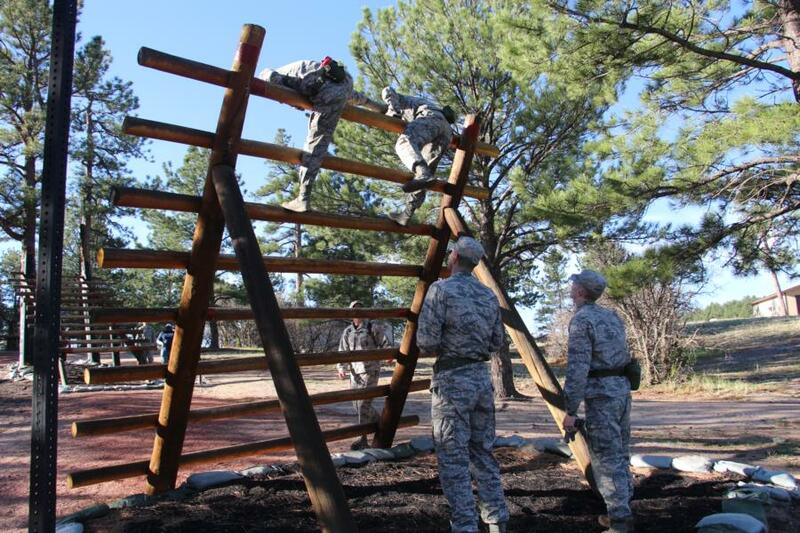 The mission at the Obstacle Course is to teach and require basic cadets to negotiate 17 physically-challenging obstacles. 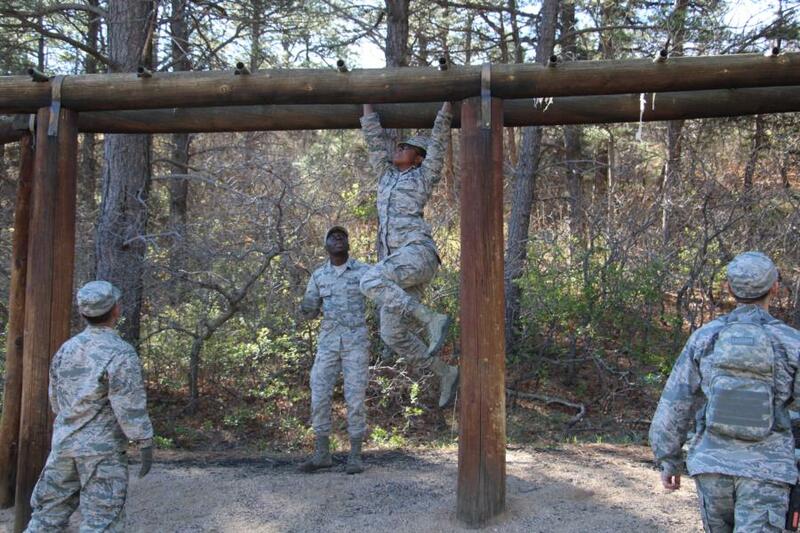 It is designed to assess their physical fitness, agility, confidence and increase awareness of personal capabilities. 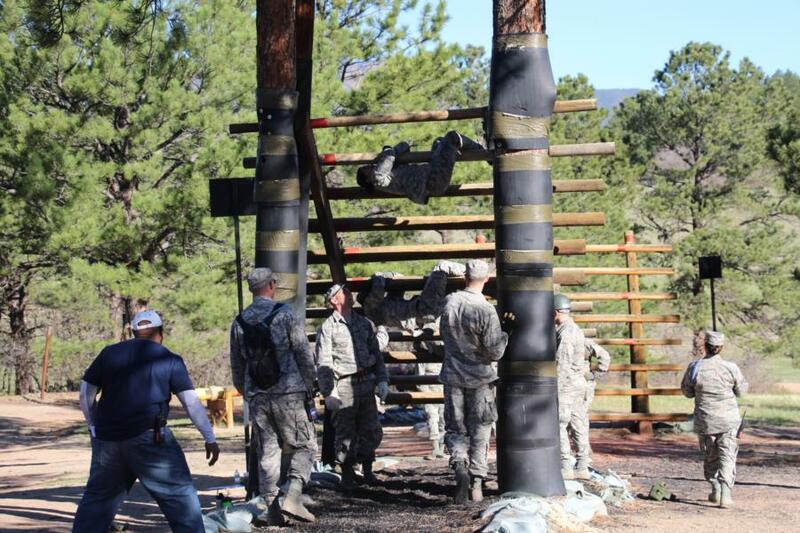 The first time through the Obstacle Course is the orientation run. 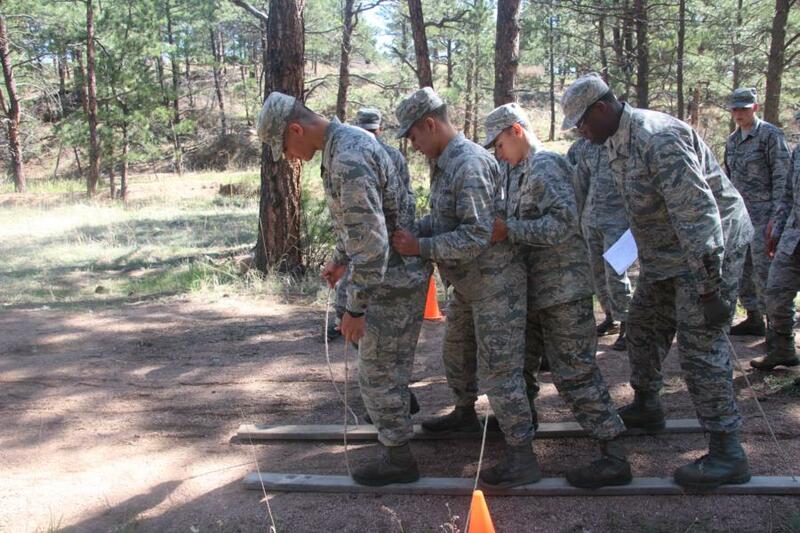 The second time through the Obstacle Course basic cadets are timed. WebGuy Translation: Climb, crawl, jump over and under obstacles. Never, never fall in the water. Think "Officer and a Gentleman" and war movies. 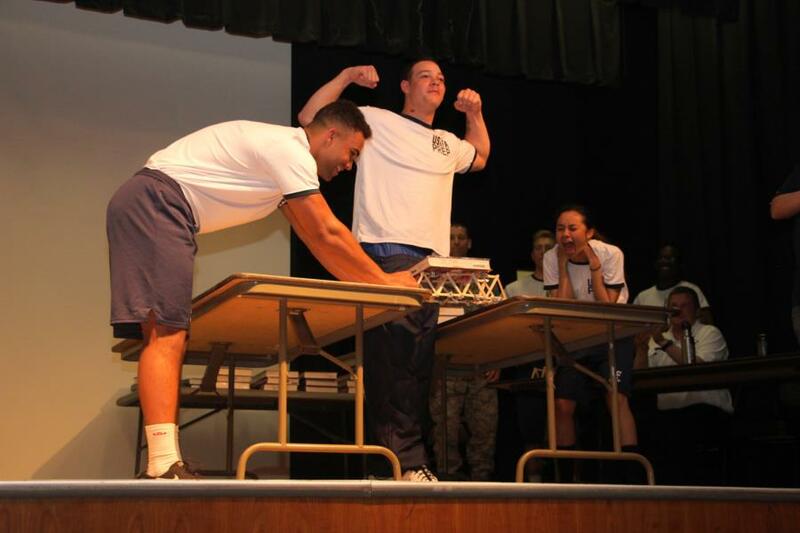 After all of today's fun, yet exhausting activities - the C/C's participated in the final event of the evening. 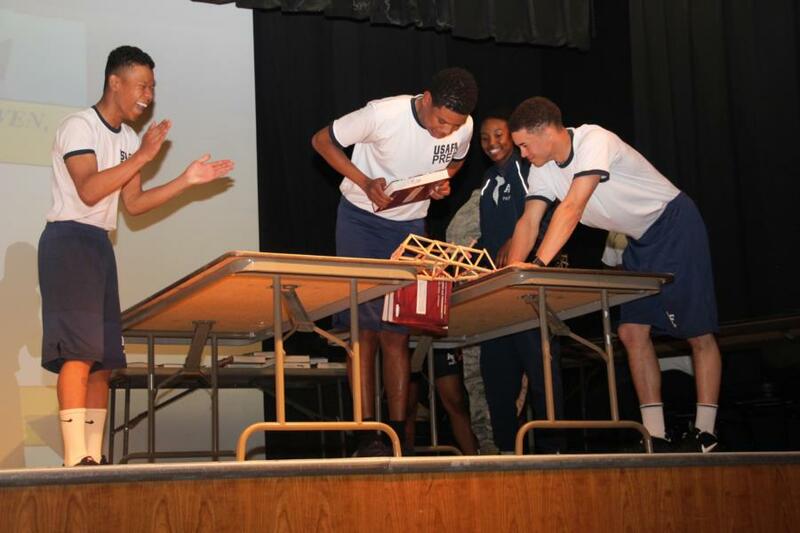 The Bridge Destruction, this event is another team building exercise during Prep TX and is also a practical application of what they've learned in math this year. 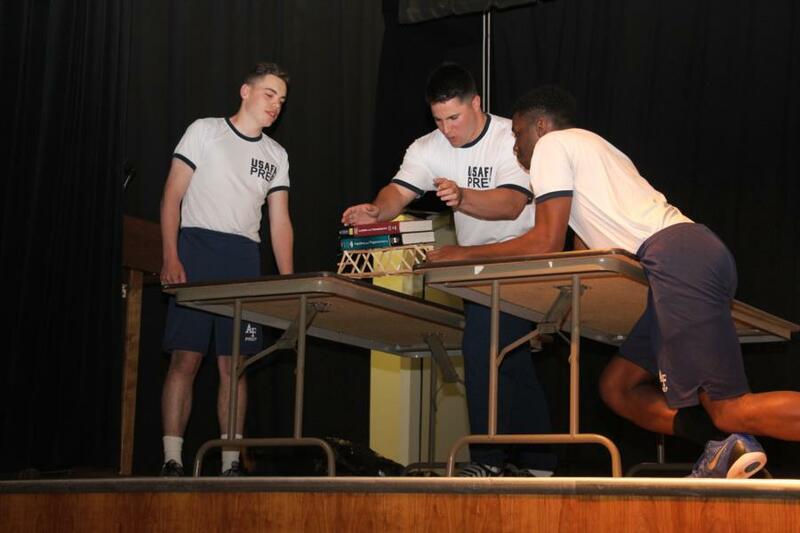 Truss bridges were constructed by each team out of Popsicle sticks and each team competed by stacking textbooks on the bridges until they failed. 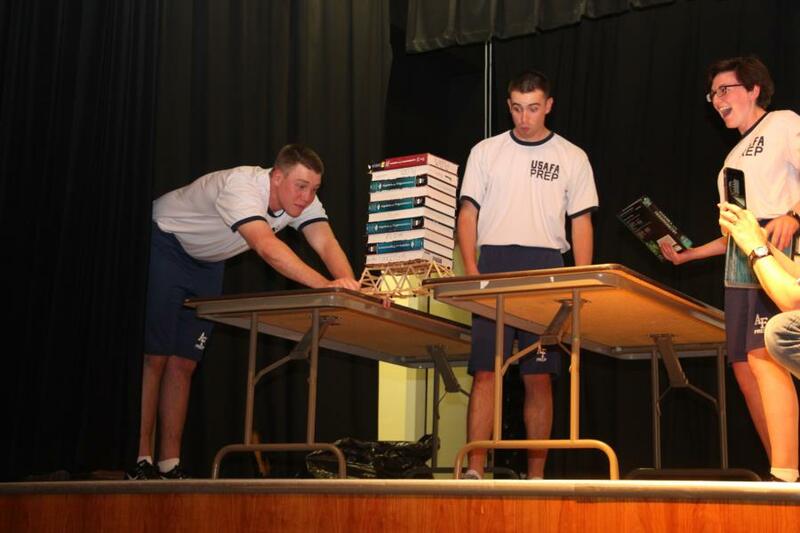 The winning team had 17 textbooks with a total score of 409 points! Tomorrow morning is a time of rest for the C/C's but they will be doing another big activity in the afternoon and we will be there to catch them! With the morning opened, we will be hard at work editing as much as we can before we have to go out and get pictures in the afternoon. Our hope is that we can post the pictures from Friday's activities before heading out. Again, we thank you all for your patience in our getting the pictures up into the Galleries! Check back with us tomorrow for highlights of Sunday's Prep TX events!